Knock-knock is an odd looking indie game that I cannot seem to put into a genre, you will just have to see for yourself. Quote Hide! 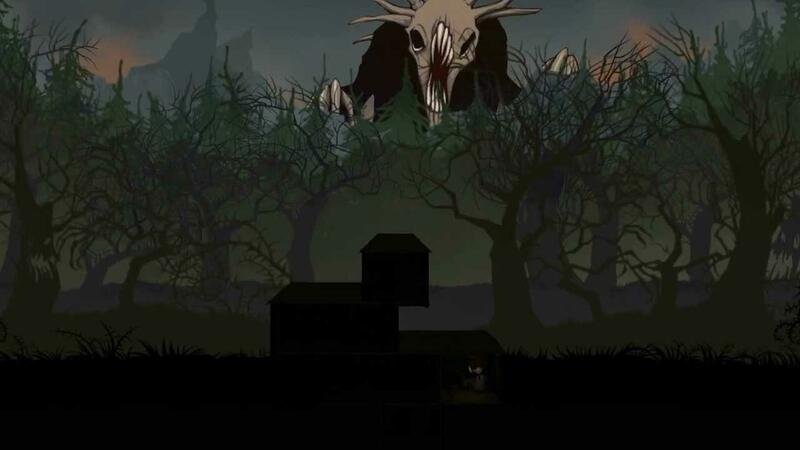 Play hide-and-seek with denizens of your nightmares. The really odd thing about this one is the idea was sent to them, in pictures, audio clips etc. Quote In November of 2011, Ice-Pick Lodge recieved an anonymous email suggesting they produce a game based on files attached to the message. Everyone gets these "I HAVE A GREAT IDEA FOR A GAME" emails, but this one was a little different. The attachment was an archive containing 19 files titled "lestplay" including snippets of text, scraps of an audio recording, and fragments of video footage, all with a very oddly-worded message written in a disturbing style. Ice-Pick Lodge was unsettled. Something sinister seemed to be lurking beneath the surface. The stranger begged them to complete the project he'd started, but also let them know that while it may explain the calamity that befell whoever compiled the ominous archive, the same fate might befall them. Yet he offered creative freedom and clearly believed in what he was saying. While the team was fed up with mysterious emails with great new ideas, they still decided to give it a whirl and see what would come of it because this, at least, wasn't the 10,000th great new MMO idea, and there was always the chance of tempting fate itself since they'd be the first people to play the game. Looks like an indie puzzle horror, but without playing it directly I can't really put it into a genre, has anyone played it? I didn´t play it yet but since I saw the video on Greenlight it caught my attention, the art style is great. Just received my download key for this game... now I only need some time to actually play it! The graphics have quite wonderful and clever. As can been seen from the trailer, the graphics are very stylish, all dark and moody. It's very clever in it's use of lights, shadows and transparency. The sound is suitably moody and disturbing. The namesake's sample "Knock knock" is very bassy and genuinely adds a lot to the atmosphere. As for the gameplay, I would say it's closest cousin would be Clock Tower on the Snes. You go around room for room (and outside) and more of the story unfolds. The fourth wall is broken constantly and it really helps you bond with the main character. The game isn't a platformer, I wouldn't describe it as problem solving, more like exploring the different areas. I think therein lies the biggest problem I have with this - is it really a game or more a story telling? However, the story is very good. I've also got a question about how long this game will last, it does seem a bit short. I appreciate this game won't be for everyone. If you like the look of the advert, I would say go for it! For £5, you won't be disappointed.